Moscow authorities have sanctioned a number of mass opposition and pro-government rallies on May 1. A series of marches and gatherings are scheduled both by parliamentary factions and non-parliament opposition. ­All the events will take place in the city center. 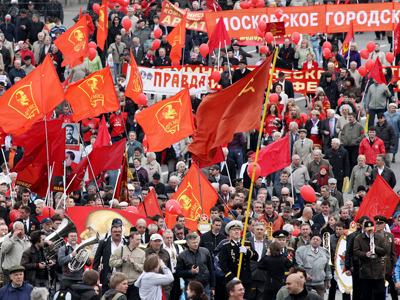 The Communists have been given permission for a 5,000-people rally in Teatralnaya Square. Fair Russia and Lib Dems will have two separate events in Pushkinskaya Square, with the maximum number of participants set at 2,000. According to non-parliament opposition activist Olga Romanova, such groups got the go-ahead for a gathering of supporters in Bolotnaya Square. There has been no official confirmation of this so far. 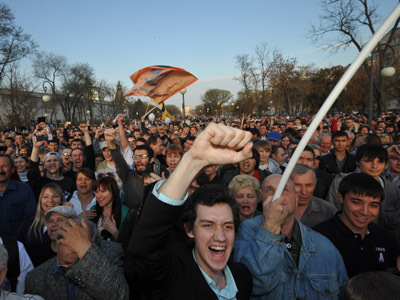 The largest rally will be held by trade unions in Borovitskaya Square. 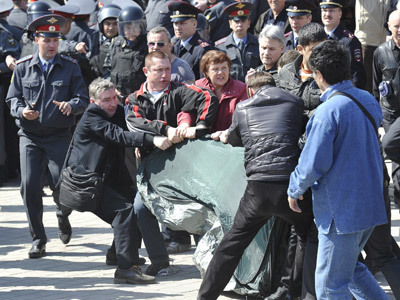 United Russia is not organizing an event of its own but will join the trade unions. Their demo is expected to attract around 100,000 participants. 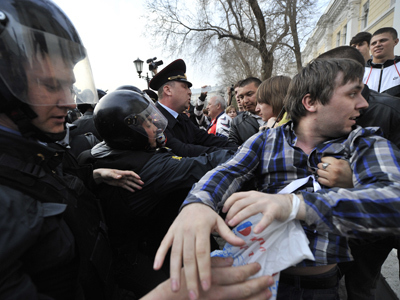 Overall, about 120,000 people will take part in May 1 rallies, Moscow police say.